The Excellence by Design Committee developed a Mission Statement and System Beliefs that have been aligned with the Somerset County Public School’s system mission, goals, and strategies. 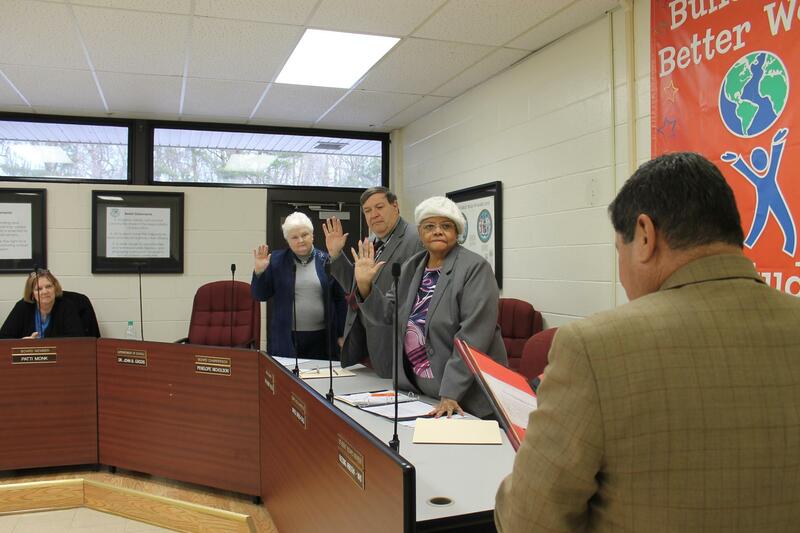 The Mission Statement and Beliefs were formally adopted on December 16, 2014. An understanding and appreciation for learning, varied cultures and diversity is essential to success in a global society. All students have the right to a safe, healthy and nurturing school environment. Students, family, school, and community share in the responsibility of education. All students have the capacity to learn and become productive citizens. A wide range of opportunities and a well-balanced, rigorous and engaging curriculum will lead to an educated community. 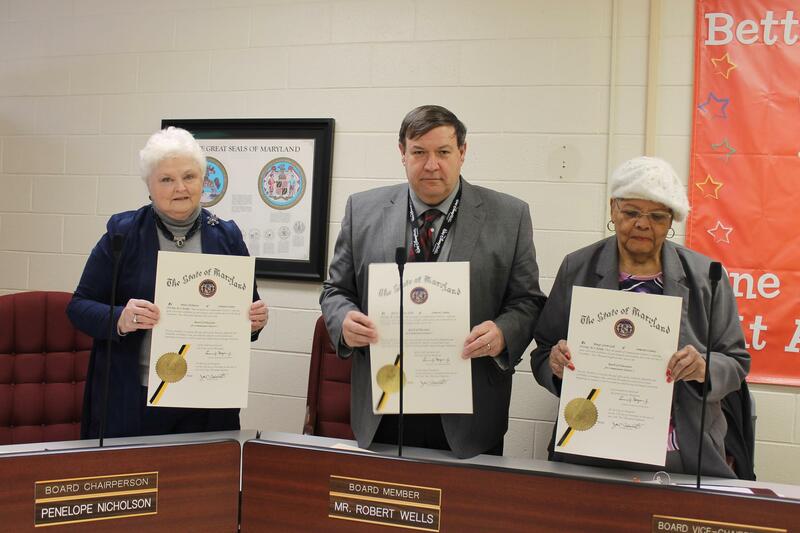 (l-r) Penny Nicholson, Robert Wells, and Margo Green-Gale received official confirmation of being sworn-in on January 15, 2019 who were elected again to the Somerset County Board of Education.